Due to the Vernal Equinox Day, there have been no economic reports in Japan. 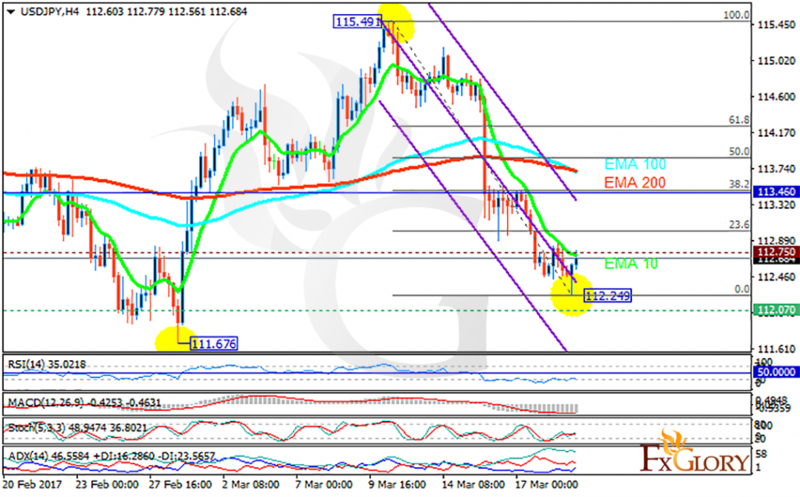 The support rests at 112.070 with resistance at 112.750 which both lines are below the weekly pivot point at 113.460. The EMA of 10 is moving with bearish bias along the descendant channel and it is below the EMA of 100 and the EMA of 200. The RSI is moving horizontally on oversold area, the Stochastic is showing upward momentum and the MACD indicator is in negative territory. The ADX is showing buy signals. The pair will grow towards the 50 level of Fibonacci to complete its correction pattern therefore long positions are recommended with the first target at 113.